Ships 7 - 9 Business days. 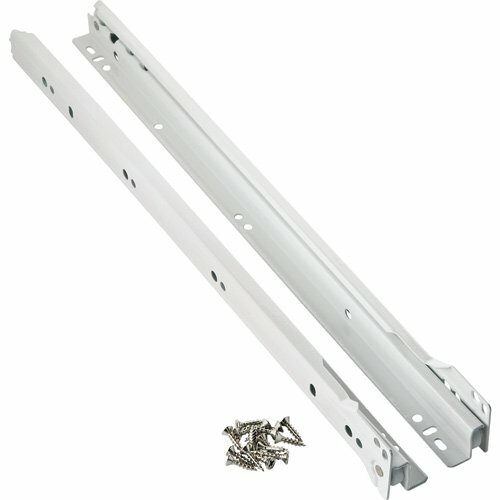 TRACK REPLACEMENT SET IS FOR ONE ENTIRE DRAWER, BOTH LEFT AND RIGHT SIDES. *PLEASE NOTE* SIZES MAY VARY DEPENDING ON THE PIECE YOU CURRENTLY OWN. IF YOU'RE UNSURE WHICH SIZE YOU REQUIRE, PLEASE STATE IN OUR COMMENT SECTION UPON CHECKOUT; EITHER THE LENGTH OF YOUR EXISTING TRACKS OR THE MODEL NUMBER/COLLECTION NAME OF THE ITEM YOU'RE ATTEMPTING TO REPLACE.